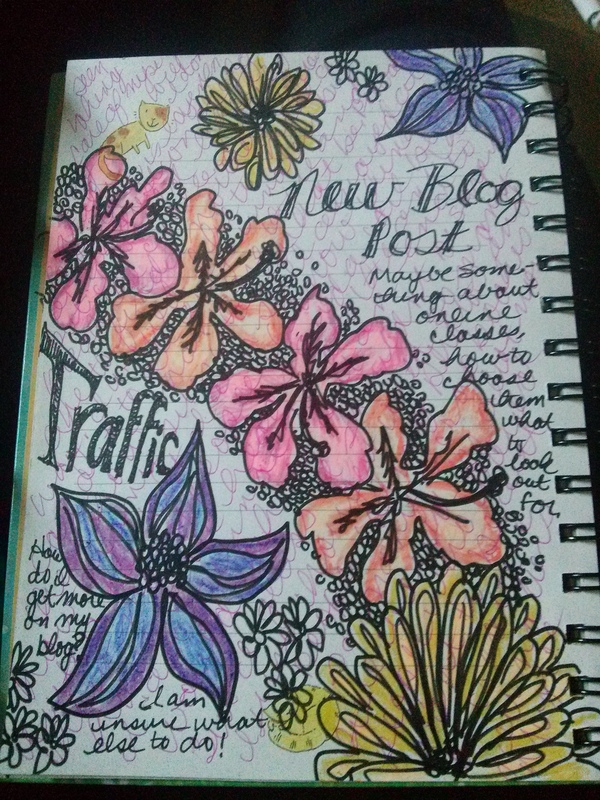 Spilling your life is what this blog is all about. 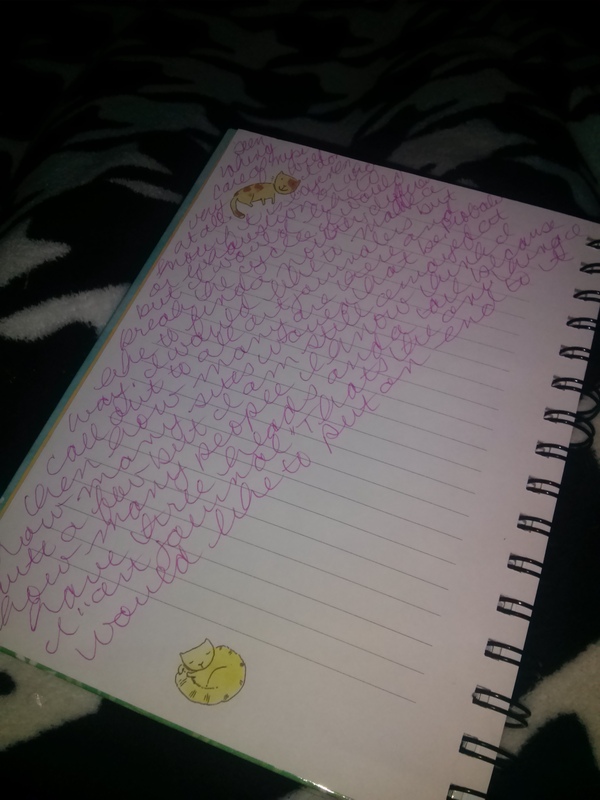 But we haven’t talked about the easiest way to spill requiring very little writing… if you choose. 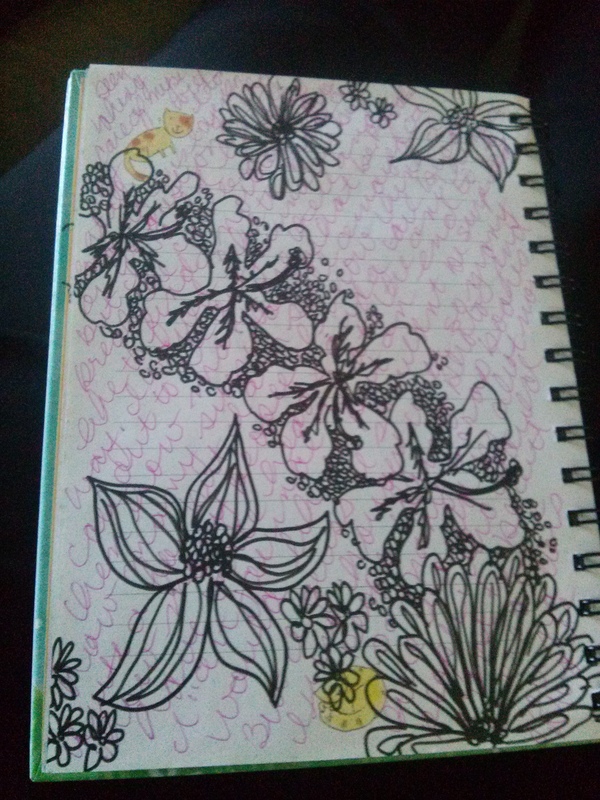 Very little arting… again, if you choose. But can be creative and funky and as beautiful as you want. And it can hold all the bits that makes your life… all the “junque”… all the ephemera… fodder… Because it is an amazing container… for you… of you! The past Sojourn exercises have given you a chance to practice specific WAYS of spilling. 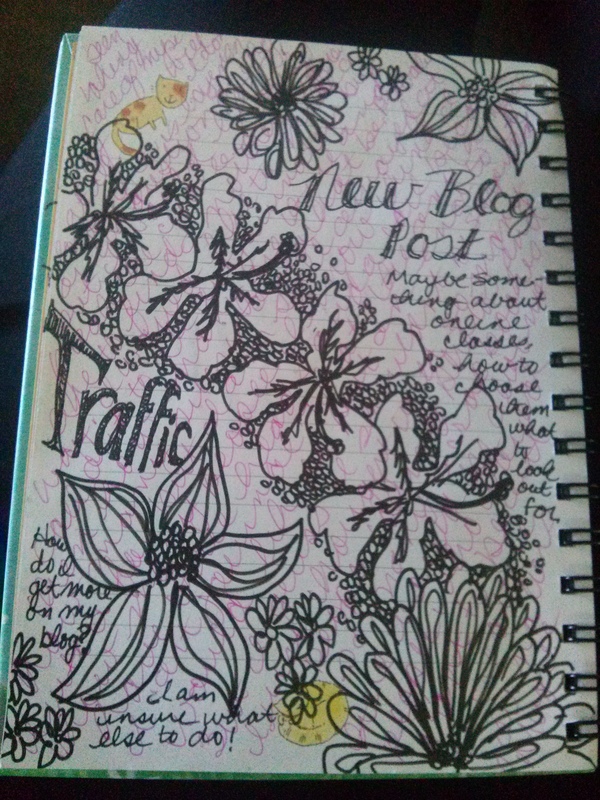 A Junque Journal is not so much a way to spill but more like a container for your spillage. All you have to do is fill it… Tape, clip, staple, stick, glue. I know, that even if you think you don’t have a creative bone in your body… you can do this. What is more you have probably been doing this for years and years… but you did not have a specific place to keep these ordinary treasures. 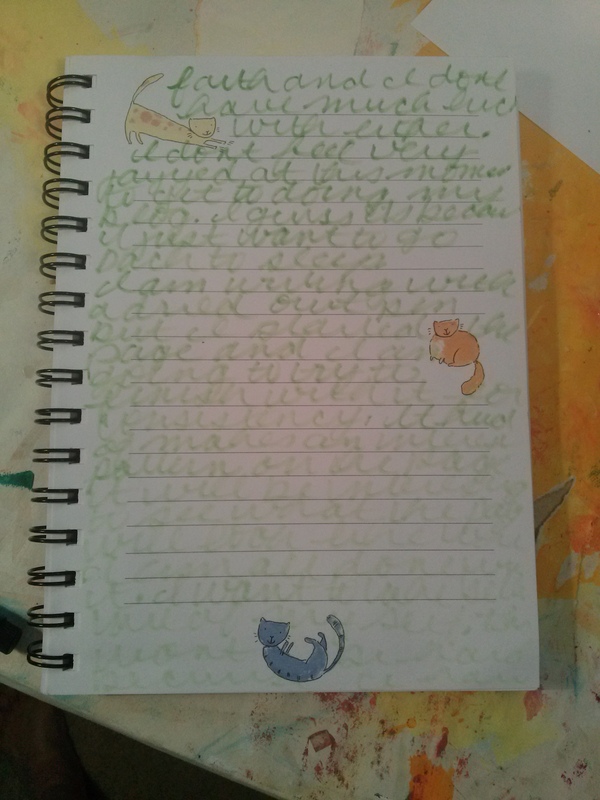 That is what a Junque Journal is for. 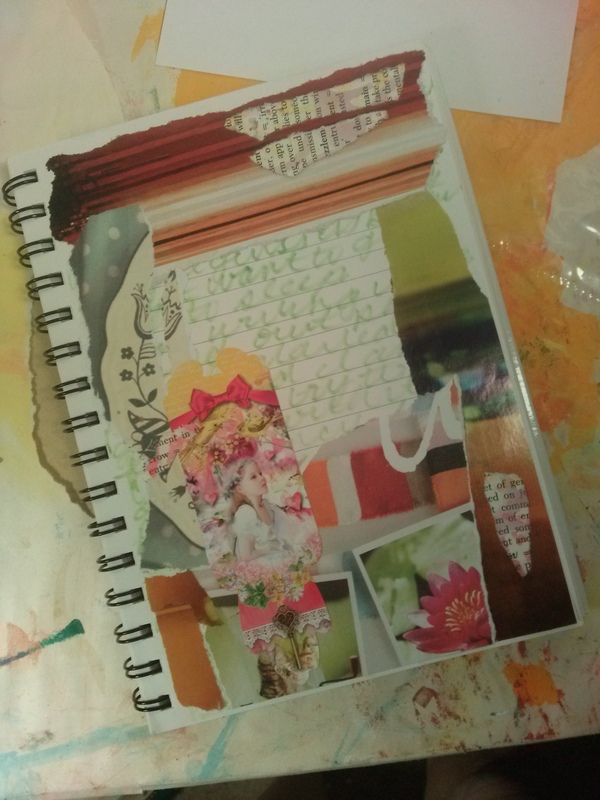 If you have a box where you might throw old movie tickets, clothing tags, motivational sayings, interesting business cards, birthday/greeting/christmas cards… interesting pictures, photos, dried flowers, leaves, feathers, bits and bobs… ANYTHING… they can go in your Junque Journal. Fun, fun, fun! 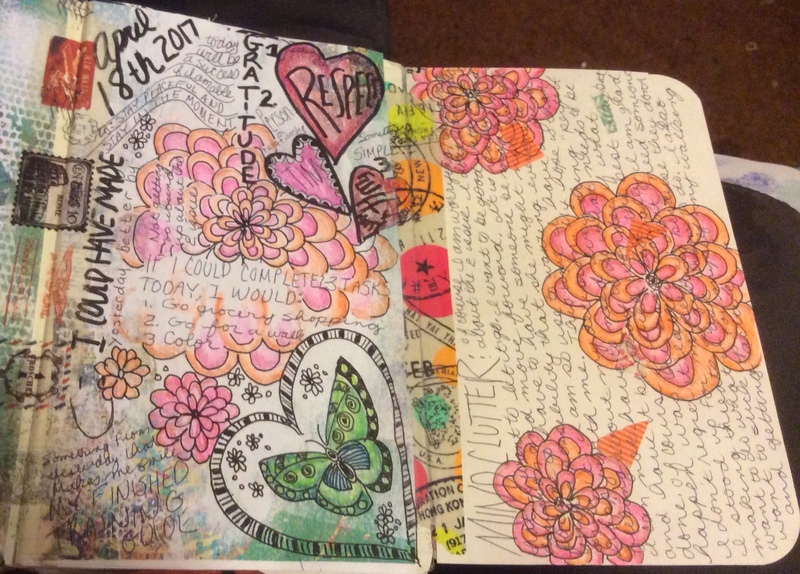 I just love looking in Tangie’s FANTABULOUS journal! I think you can get a real feel on how cool it can be to have a book where you can spill your life… and flip through it… and add… Gorgeous! I am starting one tonight! I just bought my cheapie composition book, I’ve pulled out some ribbon, scrapbook paper, and a few of my favorite colors of stamp pads… I am so excited to get started! So what about you? 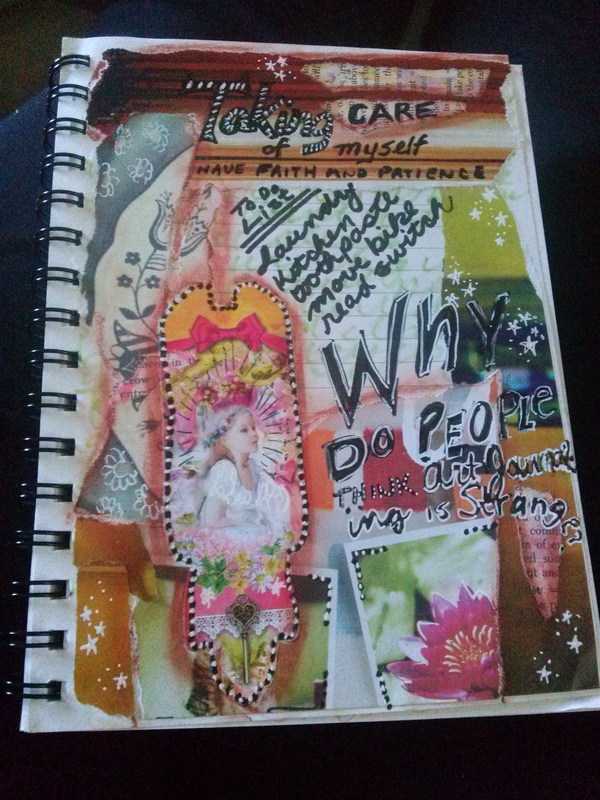 How about trying out Junque Journaling?